Around 60 per cent of tractors which are sold in Punjab are above 50 horsepower due to the ban on stubble burning which is much higher than the national average of 8 per cent. CHANDIGARH: After the ban on stubble burning imposed by the National Green Tribunal (NGT), the sale of high horsepower tractors in both Punjab and Haryana and increased the reason is simple to plough deeply and to destroy the stubble in the soil. Sources in the tractor industry point out that in annually 25,000 to 30,000 new tractors are sold in Punjab by various tractor manufacturers and another 15,000 to 20,000-second hand tractors are sold in the state. Punjab has more than 5.20 lakh tractors across all categories. The high-end variants come within the price range of Rs 6.5 to Rs 15 lakh per vehicle depending on accessories. While 20 per cent of the total tractors sold in Haryana are above 50 HP category. Giving the details, Neelam Kant, Deputy General Manager of International Tractors Limited (Sonalika Group) says," tractors above 50 horsepower are more in demand by the farmers and thus now 60 per cent of the sale is of these tractors and another 10 to 15 per cent sale of tractors between 60 to 75horsepowerr earlier it was only one percent in this category. "The third reason is that now tractors are used for commercial activity as used in sand mining and farmers led their tractors and earn money, besides in construction industry so their also high horse power tractors are needed,'' he adds. James Miller, Chief Technology Officer, TAFE Limited, said, "Precision agriculture is doing more for less. There is still a long way to go for this, but we are moving ahead. For instance, India has twenty tractors per thousand hectares. There is a difference between scale in farming in India and in most of the rest of the world. Precision agriculture helps in yield improvement as well." Vikram Ahuja, Owner, Zamindara Farm Solutions Private Limited brought forth the point of rising prices of machinery as and when the subsidy is announced. 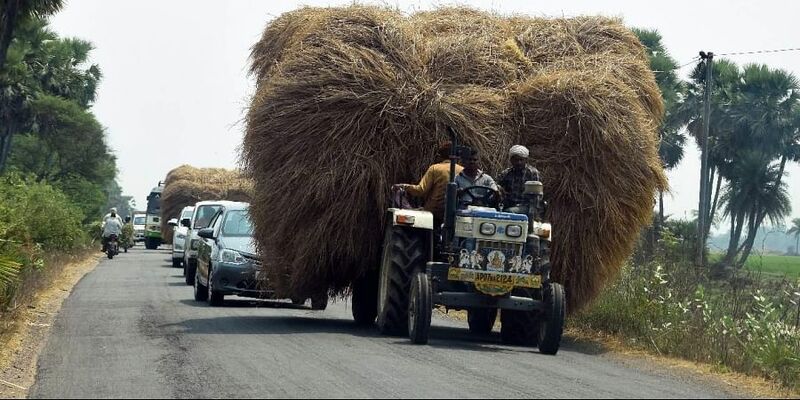 "The farmers should be made aware of the solutions available for straw management and given some time to handle the issue over the next three to four years," he said.